My work The hidden School has been selected to take part in a project celebrate special educators. 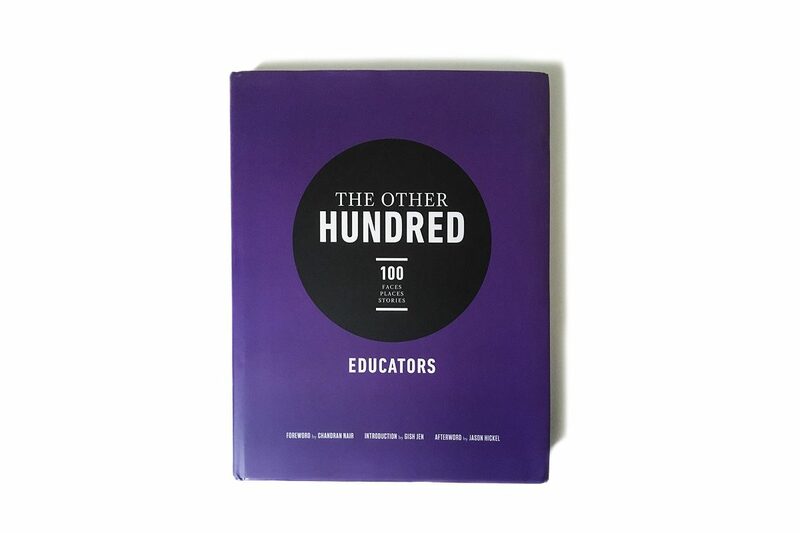 Statement from The Other Hundred Book: The Other Hundred Educators, questions the conventional understanding of education and presents the uncelebrated educators of our times. These are the people who have pioneered unique ways of teaching and transferring knowledge and, by doing so, have changed the lives of many. Their methods are unorthodox and their pedagogy is rarely recognised. Their contribution to pushing boundaries of human knowledge is often times more profound and life-altering than any formal institution and yet they will never make the top education ranks and lists. At its heart, our message is that the world of education is far more diverse and a lot more interesting than what gets portrayed on nightly news or on the cover of business magazines and daily newspapers. The most valuable educators have a lot more to offer than entry to elite schools that strive to be on top of dubious rankings. Our book will be a collection of 100 educators you have not heard of but, need to know about.